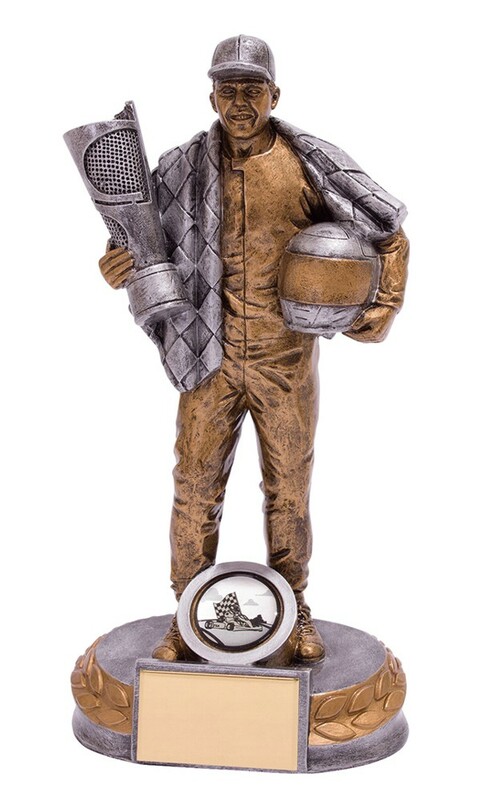 Resin Grandstand Motorsport Figure Awards. This great detailed award measures 200mm high. Gold and silver in colour. The figure is holding a helmet, trophy and flag.